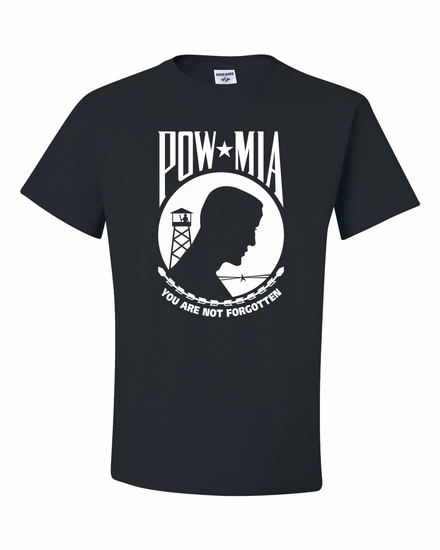 Let the families of missing or captured soldiers know we have not forgotten about them with our POW/MIA-They Still Wait T-shirts, sweatshirts, and coffee mugs. We have a variety of colors and styles for everyone. Remember� you found the POW/MIA-They Still Wait Shirts at TShirtHub.com, where high quality came at a low price.